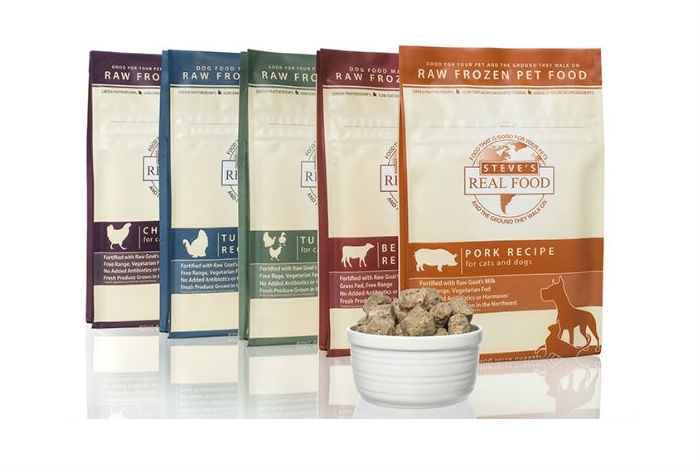 Steve’s Real Food believes in producing a purely raw product using only whole foods that are known for their nutritional super powers. We do not use pasteurization so that we stay as close to Mother Nature as possible. All of the meat and poultry are free range and fed a species appropriate diet. We do not use any antibiotics or hormones and all animals are humanely raised in the northwest. All of our produce is also from the northwest, making Steve’s Real Food a locally sourced product. We work with partners that are committed to the environment and practice sustainable farming. We believe it is crucial that there are no corners cut when it comes to quality of ingredients and commitment to Mother Earth. Only fresh, raw, minimally processed foods can provide all the essential micro-nutrients your pets need for a long, healthy life.